This is Paprium! Rule, be ruled, or die! 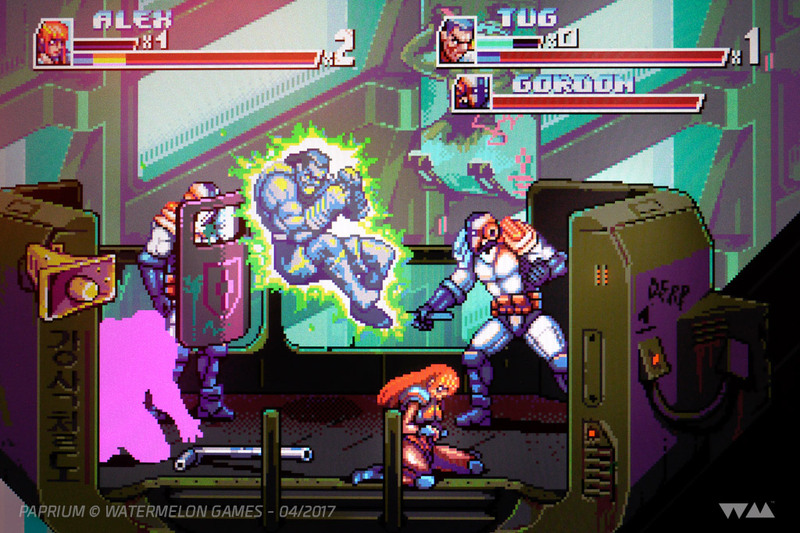 It’s time to pull that Genesis out of the closet and dust off your Mega Drive. 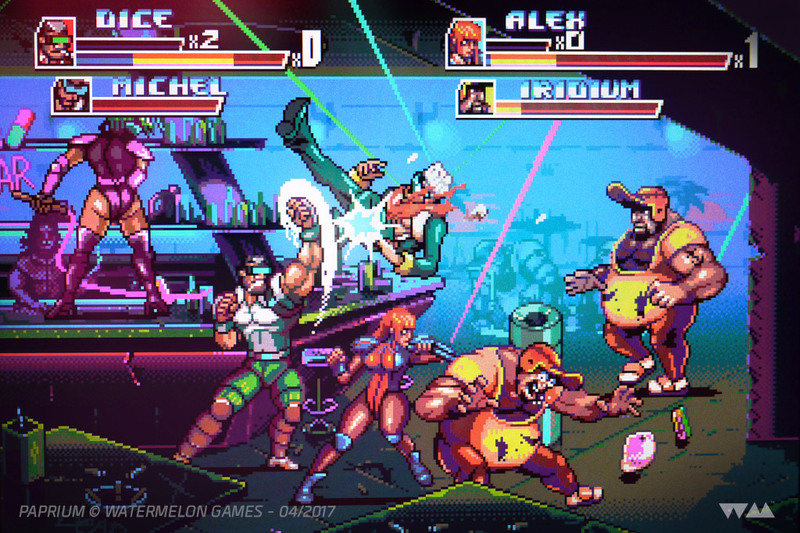 The largest ever Sega Genesis and Sega Mega Drive video game now has an official launch date. 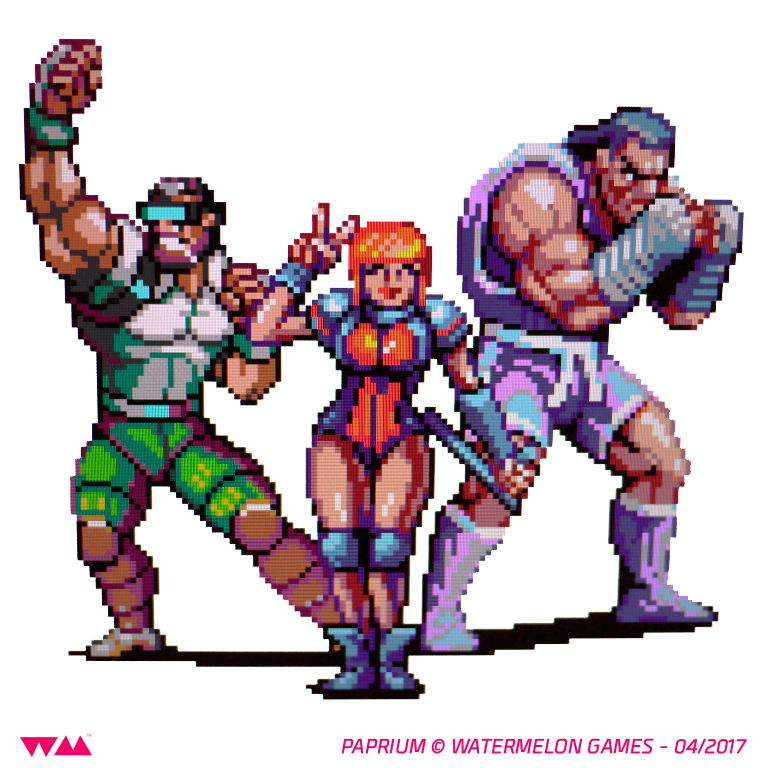 Meet Paprium; the meanest, baddest and biggest post-apocalyptic two player brawler ever to grace the 16-bit era! Available for pre-order right now at paprium.com for $99 USD for the Limited Edition version or $69 for the Classic Edition (Worldwide shipping included). Both with a release date of September 16, 2017. The limited Edition comes in three flavors; styled after the Sega Genesis, PAL Mega Drive and Japanese Mega Drive. All editions of Paprium are region free and all contain English, Japanese, French, German, Portuguese and Spanish languages. Update: Shortly after Paprium was made available for pre-order the price was increased for the Limited Edition from $89 USD to $99 USD. The Classic Edition and the Grand Stick have remained the same. 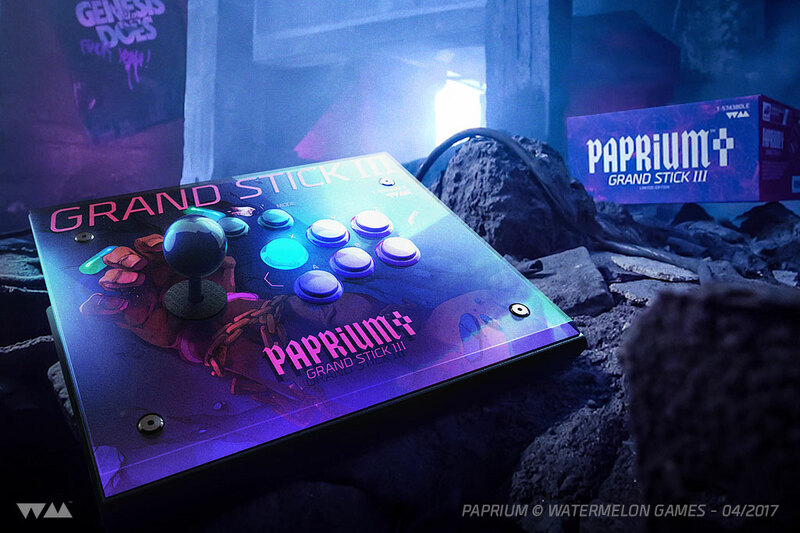 And what better companion for the ultimate beat ’em all than an all mighty arcade stick; retailing for $150 USD. This physical release for the Sega Genesis and Sega Mega Drive is the largest game ever for the system; weighing in at a whopping 80 MEGs. The game cartridge for PAPRIUM features an integrated DT128M16VA1LT semiconductor. The 16-bit experience has never been so perfect: The features, so rich; The audio, so crisp; The MEG power, so intimidating. But don’t get lost in the technical mayhem, throw your gaming prowess at multiple game modes, 24 Levels and up to 5 selectable characters! You can play in co-op with one or two simultaneous players. With some of the finest 16-bit graphics I have ever seen Paprium has built up an immense amount of excitement in the retro video gaming community. I believe we’re looking at an absolute blockbuster. Which will likely become a must own for gamers and collectors. ← Paprium is Coming! A Project Y Update. I don’t know how long the Limited Ed. will be around for but I believe we’ll all have lots of chances at the regular edition.